SO beyond excited and thrilled to be one of three fatshion bloggers interviewed for a CNN.com interview! I was featured alongside women I adore, Lesley Kinzel, Author of Two Whole Cakes and Dee of Pearls, Lace & Ruffles. 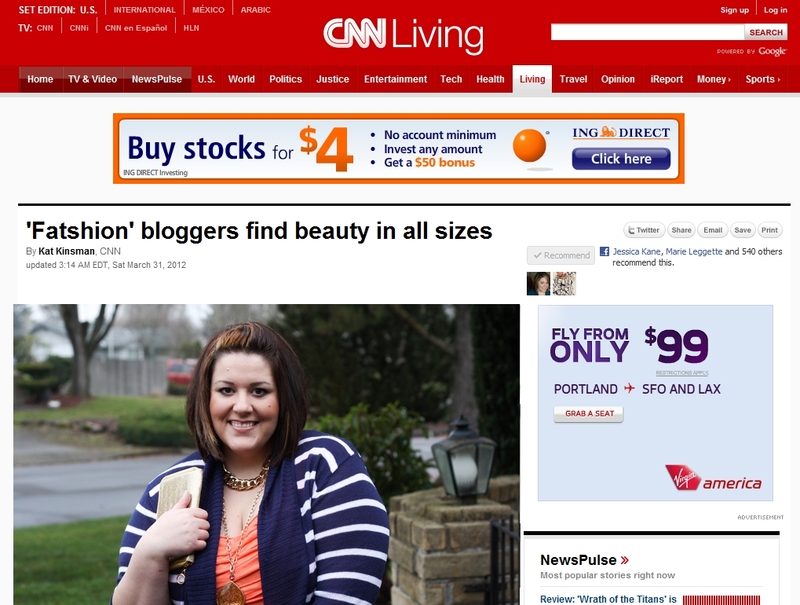 Read the interview now http://www.cnn.com/2012/03/31/living/fatshion-beauty-bloggers/index.html.